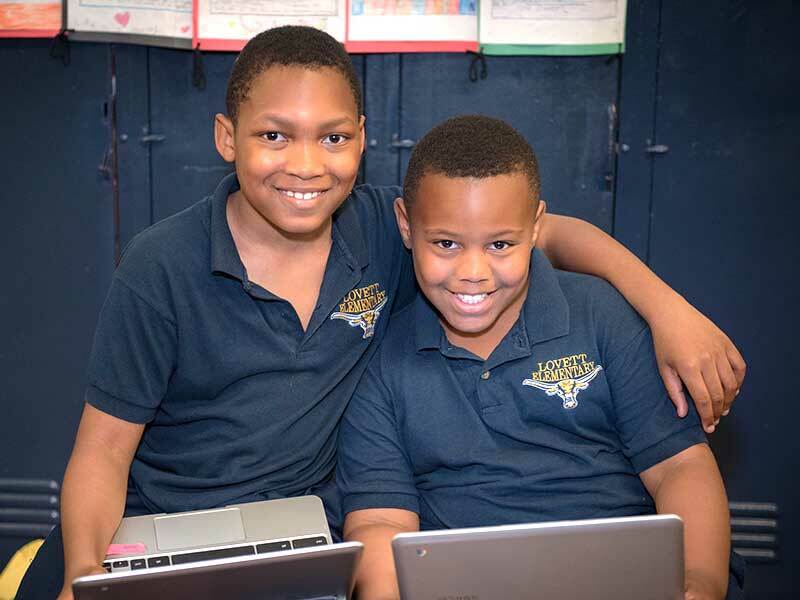 Lovett students have accountability partners as a support system for their work. Students are paired together and check-in with each other weekly during independent learning time. A primary goal of the check-in is to see how their partner is doing. Students share their goals and progress and see how they can support each other. While the structured check-ins happen weekly, support can happen throughout the week if necessary. Shares data with accountability partner. Discusses weekly goals and progress towards those goals with accountability partner. Challenges accountability partner if needed (e.g. “do you think you can aim for a higher RIT score?”). Checks in with accountability partner to see how they’re doing overall (beyond academics) and if there’s anything they need help on. Helps students choose accountability buddies that will be most helpful to each other (based on personality, skill level, etc.). Provides easily shareable documents, projects, and presentations that partners can review for each other.